Thanksgiving Day unofficially kicks off the busiest shopping season of the year, with consumers heading to stores in droves to take advantage of sales and discounts for their holiday shopping. In 2017, more than 174 million American consumers shopped over Thanksgiving weekend. That number is likely to go up this year, with analysts predicting a 4.3 to 4.8 percent increase in overall holiday sales. In spite of this being a critical time for retailers, a growing number of brick-and-mortar stores are choosing to stay closed on Thanksgiving Day, so their employees can spend time with their families. Consumers are pushing back against turkey day shopping, too. This year, some of the nation’s biggest retailers, including Home Depot, Costco, H&M, Barnes & Noble, Bed Bath & Beyond, Nordstrom and Ikea, plan to close their doors on Thanksgiving Day. A few trailblazers, including REI, are staying closed on Black Friday, too. Last year on Thanksgiving Day, online sales were up 8% compared to the year before. Traffic to online retailers goes up a whopping 220% on average on Black Friday. 68% of consumers shopping on the day after Thanksgiving this year say they plan to do most of it online. This is where retailers like REI can keep the promise of family time for their employees alive while still keeping up with their industry peers. The pace of online shopping is breakneck, with consumers clicking and tapping from site to site, scoping out deals and expecting answers, fast. It’s retailers that bring the responsive, personalized experience of in-store shopping online that will stand out in the frenzy and win the day. So how do you do that while still allowing employees to enjoy their time off? AI-enabled technology can be on the front lines of the Thanksgiving rush, bringing the in-store experience (minus the constant rotation of holiday music) online by answering questions, offering personalized suggestions and helping shoppers find that perfect gift. Today’s AI can act like the store associates by proactively engaging with customers at the right time, with the right content and in the right way. Based on available data like browsing or purchase history, these bots can offer concierge-like experience for all their online shoppers. And, unlike stressed-out store associates tasked with handling the onslaught of holiday shoppers, AI chatbots never lose their cool, even with the most demanding customers. Instead, they create experiences that build trust, to keep customers coming back long after the holidays are over. As the trend of closing brick-and-mortar stores on Thanksgiving Day gains momentum, and as consumers continue to shift more of their holiday spend online, AI-fueled chatbots will be the ones putting in holiday overtime, while sales associates relax at home. 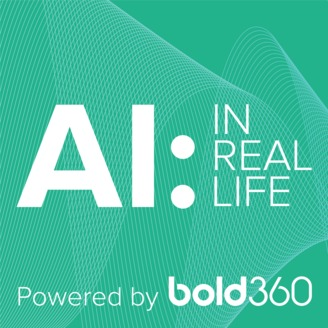 Find out how to create that in-store shopping experience for your online customers this holiday season and beyond with Bold360’s Proactive AI capabilities.